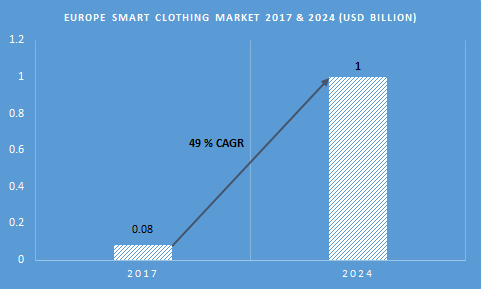 Europe Smart Clothing Market demand exceeded USD 80 million in 2017 and is projected to grow at over CAGR of 49% from 2018 to 2024.Favorable government initiatives in the European region are driving the Europe smart clothing market. Increased government investments in enhanced research and development activities related to smart textiles, flexible, and wearable electronics sector pose several industry growth opportunities. These technologies have a potential scope in various application sectors including medical & fitness, military, and defense segments. 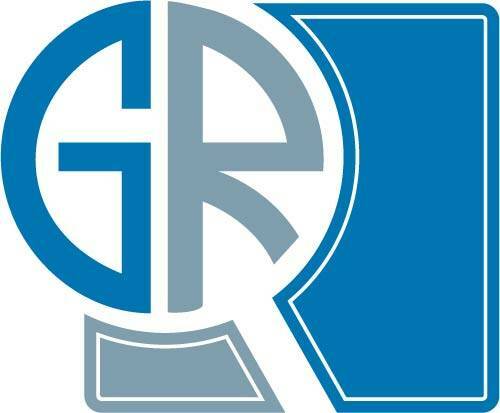 The growing consumer spending capacity on technically-advanced and smart products to cater to the improved lifestyle requirements in Germany is further aiding the Europe smart clothing market growth. Technological advancements in device developments and data services account for a high consumption of the intelligent wearables and garments in the European countries. Shoes in the smart clothing market are predicted to witness large revenue shares in the Europe region owing to the enhanced health benefits offered. These products provide running and walking benefits to the users by maintaining and accessing regular data to ensure health advents. Companies have developed smart shoes that generate power from walking, which is capable of charging small sensors integrated with modern applications. For instance, in May 2018, Xiaomi launched smart shoes in partnership with Huami Technologies including a smartphone fitness tracker application. Sports & fitness sector in Europe has dominated the smart clothing market owing to the EU commission initiatives adopted for the usage of smart textiles by professionals. These clothes have the potential to improve the training levels of athletes. Players in the sports & fitness sector majorly comprise start-ups and SME companies, focusing on developing cost-effective and high-quality products to improve the user performance. The technically-advanced sportswear offers efficient solutions to the wearers seeking detailed data about their fitness and performance. The major players present in the Europe smart clothing market comprise AiQ Smart Clothing, Adidas, Nike, Wearable Technologies Service GmbH, MAD Apparel, Inc., Hexoskin, Clothing+, Belginova NV, Applycon, and Sympatex. The companies operating in the industry focus on adopting product development strategies to integrate enhanced technologies into their offerings.